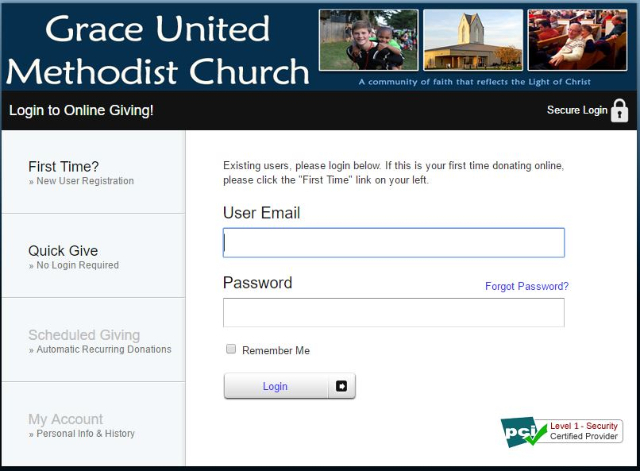 Electronic Giving is a great way to support the church, whether through a one-time online donation or through recurring donations. We are able to either debit directly from a savings or checking account, or to charge a debit or credit card. Electronic giving is good for the church because it gives us a steady source of reliable income throughout the year to support both the general operation and missions of the church, and/or the Lighting the Way building expansion campaign. Electronic giving is good for the donor because it takes the stress out of remembering to write checks and bring them in to church, and it also ensures that all donations will be accounted for at tax time.